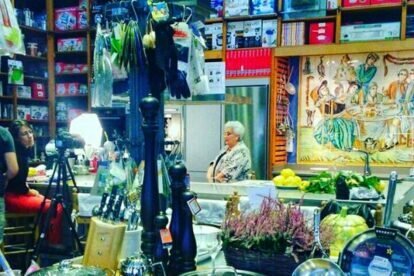 Alambique is one of the most legendary stores in Madrid. It specializes in kitchen items, but it is the only one with a cooking show in between. The best chefs in the world pass through here and the best thing is that you can check the Alambique Cooking School’s program and venture into their gastronomy. The mystique of the family that created the store has not changed and the staff that works there is the best: they can advise you if you do not know anything about cooking, if you want to make a gift to a person who loves cooking and deserves a gift to match your knowledge. You can also buy cooking courses as a gift. Another curious thing is that depending you can find specific products depending on the season. Visiting the store is a magical experience, but if you cannot go to the store, you can do your shopping online and discover the delicious recipes they have there. Alambique was founded by Clara María Gonzalez de Amezua in 1978 and is located in the center of the city. They have an excellent team of national and international professors, with a deep knowledge of their specialty that makes Alambique a reference point in gastronomy. Try something new in Madrid — you won’t regret it!